The Anti-Corruption Commission has told the Post newspaper that investigations on allegations that justice Minister Wynter Kabimba was corruptly involved in oil deals have failed to yield results. But the ACC told the Post that they have found Defence minister Geoffrey Mwamba with a case to answer. The Kabimba camp sponsored by the Post newspaper today quoted sources to the investigation saying there was no basis upon which Kabimba could be investigated. “After the close of operations and investigations, we found nothing upon which to investigate those allegations. The oil deals were public perception by some politicians and professionally we have found nothing against Mr. Kabimba upon which we can lay charges against him,” the sources told the Post newspaper. “For Mr. Mwamba (GBM), we have sufficient grounds upon which to start normal investigations. In this matter we collected enough documentation that showed that the minister personally solicited and forced his influence on public officers to have his companies awarded contracts, not only at Zesco, but also in the electrification of chiefs’ palaces. There was a time when Mr. Mwamba was acting President and that’s when these matters of soliciting for contracts began and by the time we’re done, many more issues may come out,” another source told the Post. The Anti-Corruption Commission (ACC) last Friday closed preliminary investigations into alleged corrupt deals by the two ministers. Mwamba is being investigated for allegedly soliciting contracts for supplying poles to Zesco Ltd, while Kabimba is being scrutinised over the award of oil contract. 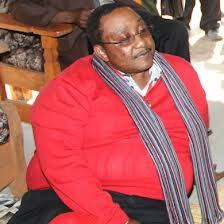 The Zambian Watchdog two weeks ago warned Mwamba to be careful as he may end up in jail over this matter. The Watchdog correctly predicted that since the ACC is controlled by Fred M’membe and not president Michael Sata, Kabimba will be cleared despite being dirty.